First off, this photo is a combination of a few things. 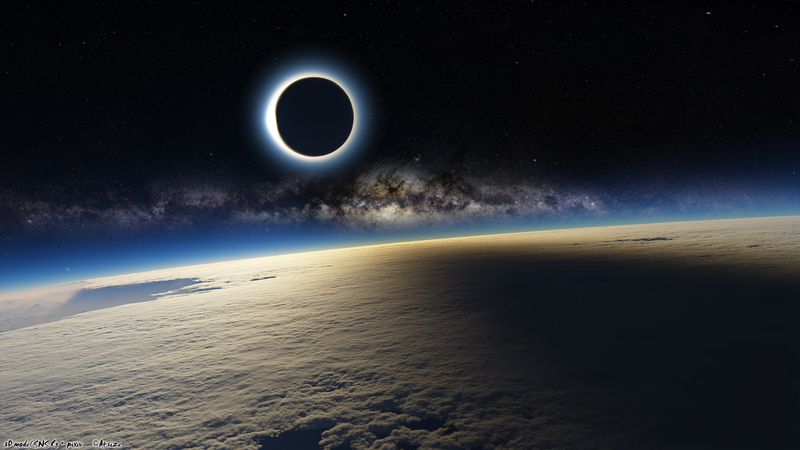 The recent Eclipse, a 3D rendering (rather than a photo) of the earth, and a clip of the Milky Way. Regardless, it is a beautiful tribute to the recent eclipse that caught so many people’s attention. Check out this Gizmodo post for some more pretty amazing pictures that happened because of the recent phenomenon.